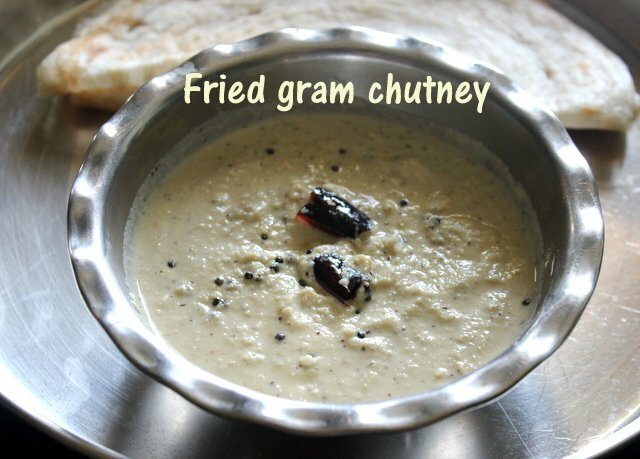 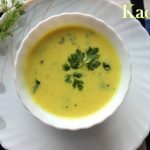 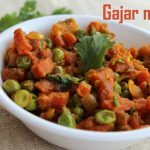 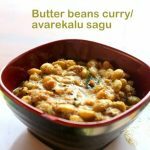 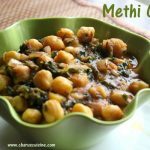 Fried gram chutney or roasted dal chutney is a quick and easy chutney made with fried gram and coconut as the main ingredients. 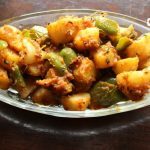 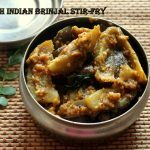 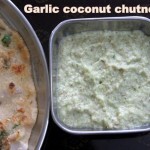 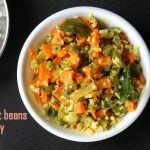 You can prepare this chutney in less than 15 minutes if you have grated coconut ready with you. 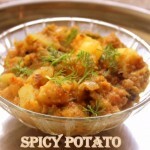 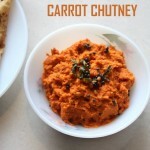 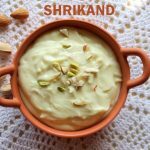 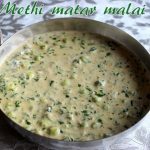 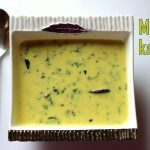 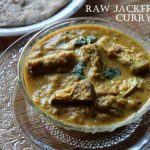 You can use dessicated chutney instead of grated chutney for this recipe. 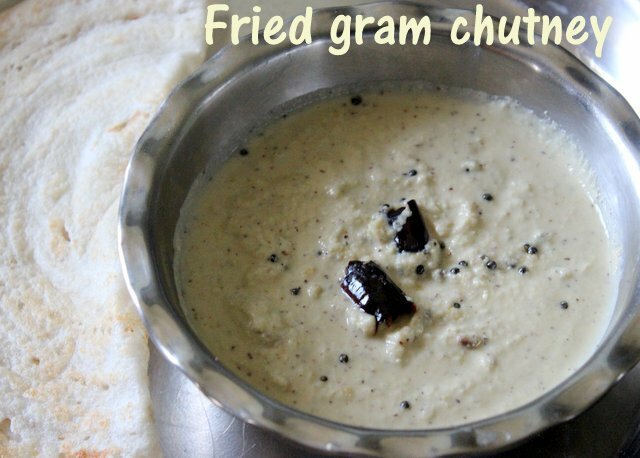 Here the quantity of fried gram is more than the coconut itself. 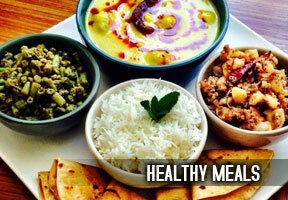 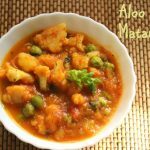 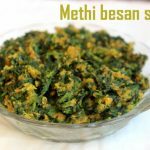 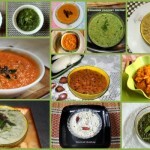 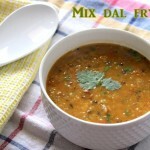 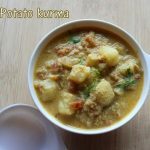 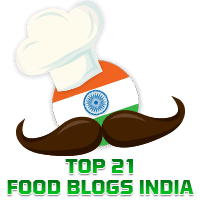 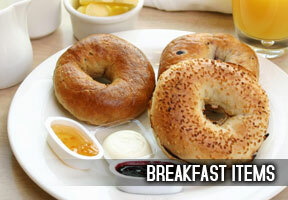 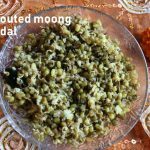 For variations, you can use coconut more than fried gram dal or equal quantity of coconut and fried gram dal. 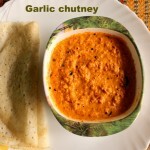 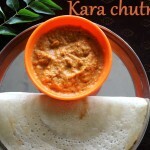 This chutney is a great accompaniment for idlis, dosa, uthapams, vadas and other south indian snacks. 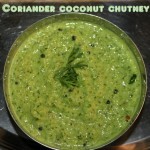 Take a mixer and add fried gram dal, grated coconut, green chilly, tamarind piece, ginger and salt. 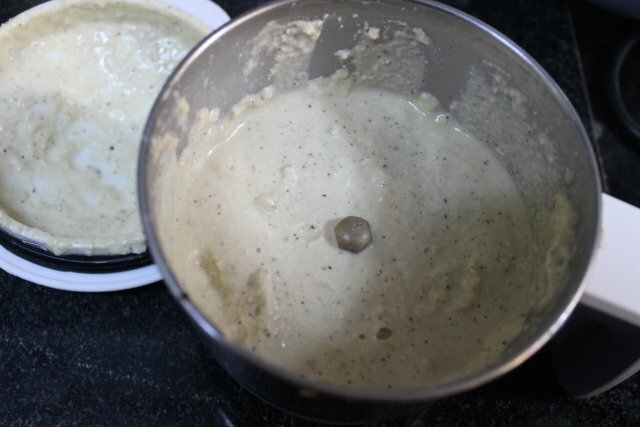 Grind with little water to a smooth paste. 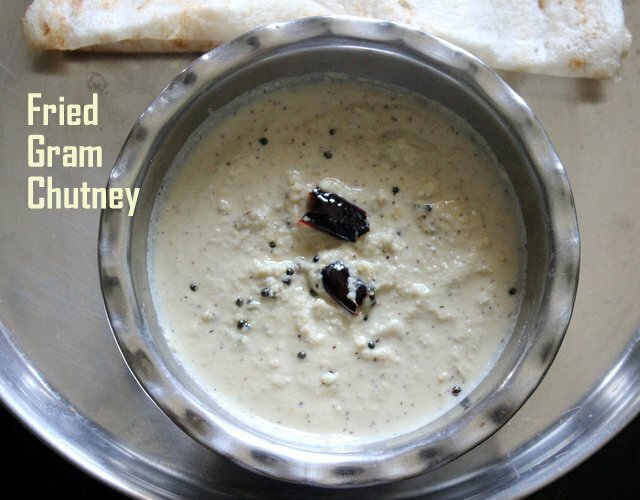 Transfer the chutney to a serving bowl. 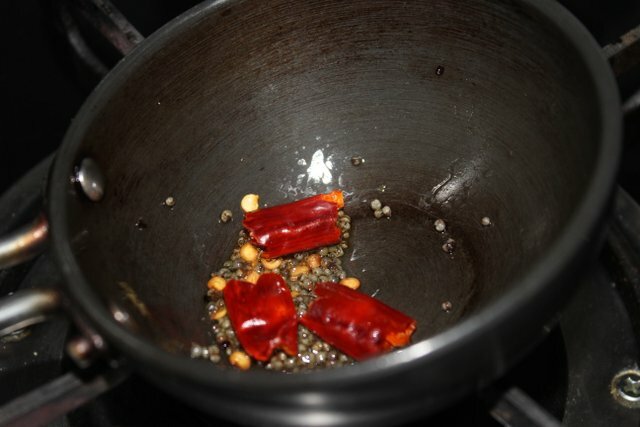 Heat a teaspoon of oil in a pan. 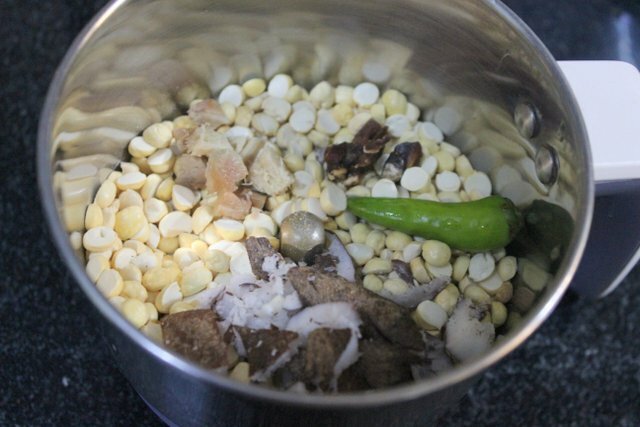 Add mustard seeds and allow it splutter. 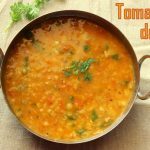 Add urad dal and red chillies. 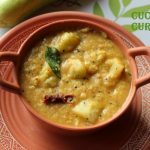 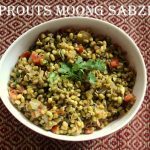 When the urad dal turns light brown in colour, add the seasoning to the chutney and mix well. 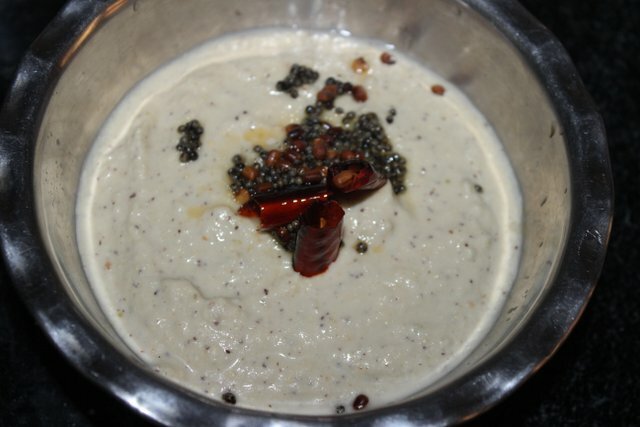 Roasted or fried gram dal chutney is ready to be served. 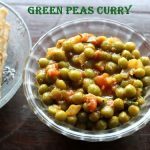 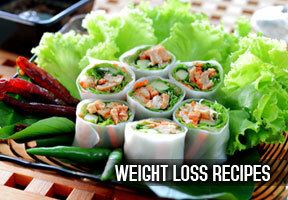 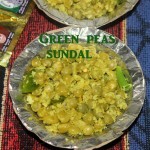 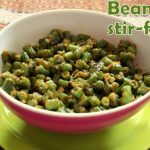 You can also use green chillies instead of whole red chillies. 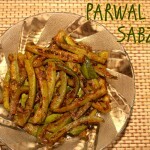 Add lemon juice instead of tamarind for a slight tangy taste.